Garcinia Cambogia is an exotic fruit originating from Indonesia and Africa. This fruit has been used for centuries to aid appetite suppression. Early Garcinie contains HCA (hydroxylimunic acid), which helps the body to burn fat. 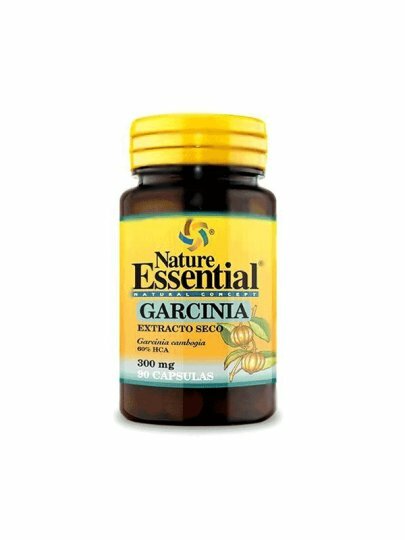 Using Garcinie's body removes your excess body fat. HCA is a key ingredient in Garcinia Cambogia because its goal is to specifically burn excess body fat in the body. At the same time, HCA prevents the excess carbohydrates that the body does not consume, turning it into fat. HCA also suppresses appetite for better control of hunger and overgrowth. Garcinia Cambogia also helps improve mood by increasing serotonin levels in the brain. Garcinia 300 mg has as much as 60% HCA. Your product is so efficient and you will be able to get in shape faster. We recommend one (1) capsule three (3) times a day, before meals. Swallow the capsule with a little liquid.